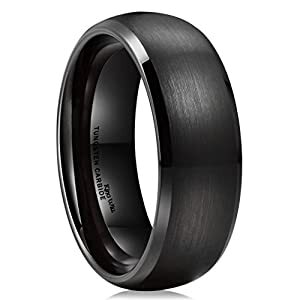 Genuine Tungsten Carbide, made this ring Weighty and Durable, Excellent Scratch Resistant performance. Suitable for daily wear. Great workmanship on high polished smooth innerface, Comfort-fit design brings you both the Elegance and Comfort. Ideal gift for wedding, engagement, anniversary, birthday, valentine, Christmas. Perfect for boyfriend, husband, father, partner, or yourself. 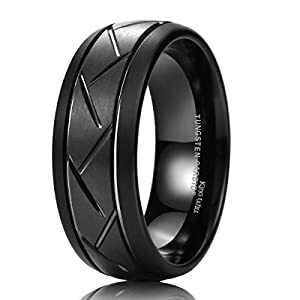 Modern and fashionable, this tungsten carbide ring will bring a stylish feeling to any look. 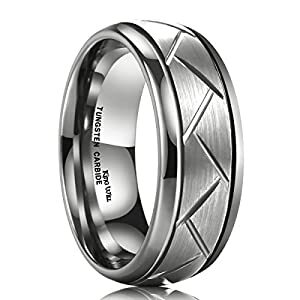 Tungsten carbide rings will serve as a delightful gift! It is also considered to be a special gift for men.